There are many reasons why people volunteer for a charity, for example: giving something back, use of existing skills that they may have, learning new skills, enjoying time volunteering, build their confidence. 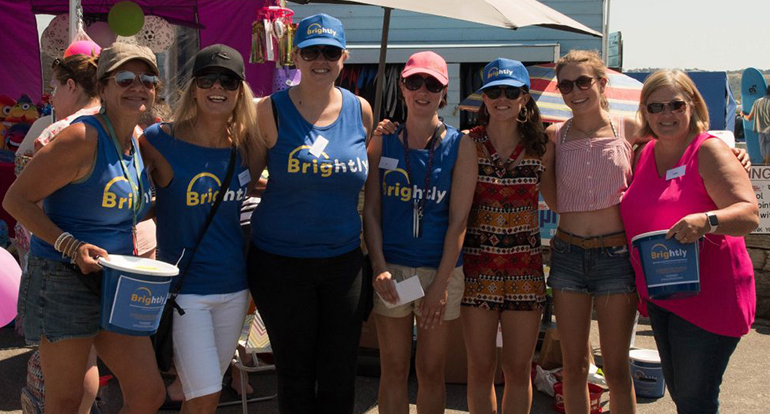 Volunteering at our events is a fun and easy way to support our work and makes a massive difference. You don't need any specific qualifications, just the ability to engage with people and offer help and support. Ideally you would be able to commit to a few hours during the year at our fundraising activities, which are mainly held on the weekends. If you are looking to volunteer then please contact Wendy Nerac our Fundraiser for more information on 07797 856 127. Alternatively, you can complete our application form, print off, sign and scan back to wendy@brightly.je.